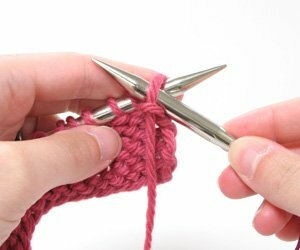 The purl stitch joins forces with the knit stitch to enable a knitter to conquer the world (the knitting world, at least)! 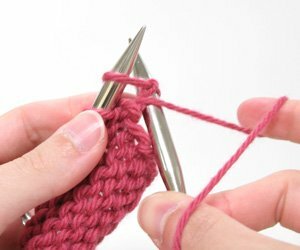 You will often see the word purl abbreviated as p or P in knitting pattern shorthand. Insert right needle through the front of the first stitch from right to left. 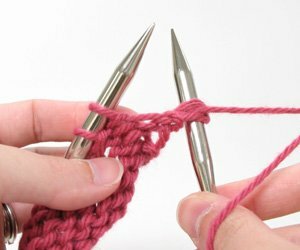 Keeping the yarn wrapped around the right needle tip, draw a loop through the stitch you first entered. To seal the deal, slide the worked stitch off of the left needle. 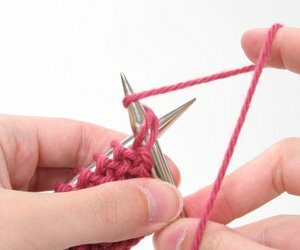 Your first purled stitch will now rest on your right needle. This entry was posted in Purl, Video Tutorials, View All by Knit Picks Tutorials. Bookmark the permalink.